You might be surprised to hear that I got a head cold this month. It was a surprise to me too, because it had been 3 whole years since I was last sick. When was the last time you were sick? I got this head cold from my daughter who, with a still growing and strengthening immune system, is susceptible. I’m more susceptible myself right now, not just because of close proximity to my daughter’s cold, but because my immunity is slightly suppressed from breastfeeding and sleep interruption – you know, living with a two year old! Having kids can make you more likely to get sick – it’s not just that they go to nursery, pre-school and school with a bunch of other kids, but also that you’re often finding yourself losing sleep, not eating properly, getting stressed – all the kinds of things that can weaken your immunity. 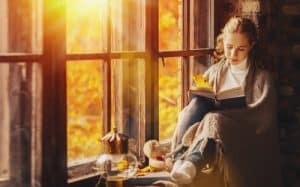 But as the seasons change, with the shift in temperature to cooler days and cold nights, everyone’s body experiences a phase of down-regulation of metabolism which if you’re already on toxic overload and decreased immunity can make you susceptible to catching what’s going around. That’s why instead of waiting to spot treat illnesses as the come along, it’s always a good idea to be well-prepared with an immune-strengthening diet and lifestyle in every season. So, what did I do when I got sick? I took really good care of myself by reaching for my favorite immunity-boosting supplements. I dosed myself with these, plus bone broth and large helpings of sauerkraut. I kept myself well hydrated. And you know what, I fought that head cold off fast! 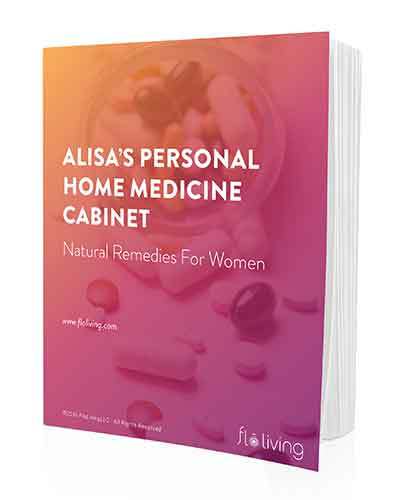 I already had my medicine cabinet packed with natural remedies that support my body’s own immunity strengths. Remember that no amount of supplements will prevent you from getting sick unless you eat a diet every day of the year that consists of foods that boost your health, and avoid immunity-sapping activities like drinking too much alcohol, coffee, not getting enough sleep, and not practicing self-care. These supplements are very effective, but only as a part of a wider daily, year-round effort to support your body’s needs. Vitamin C – you immune system cells need vitamin C to perform at their best. Research has shown that those who suffer with stress or are in high-energy positions (like every mom I know!) can see a significant reduction – up to 50% – in the number of colds they get and the severity of those colds by taking vitamin C supplements. Echinacea – this herbal remedy is proven to protect against colds and lessen the severity of cold symptoms. Zinc – zinc plays a central role in the immune system. One of the first signs of zinc deficiency is increased coughs and colds. Zinc is one of the most researched nutrients in terms of its importance to our immunity. D3 – vitamin D deficiency is one of the most common nutrient deficiencies there is and it’s best supplemented with sun exposure. If you live in a part of the world that’s dark most of winter, consider booking a sunny break. Be sure to maximize your sun time when it is summer, prior to the winter months setting in. Probiotics – the more we come to understand the immune system, the more we come to realize much of our health lies in our balance of gut bacteria. Sauerkraut, kimchi, pickle juice, or a good quality probiotic supplement are essential throughout the year to maintain strong immunity. Elderberry – this herbal treatment is a great way to stimulate and enhance your immunity, as well as fight off the colds that you do end up with. It’s even good at fighting flu symptoms. Consider using this supplement before and after you know you will be exposed to other people’s germs, for example when you have a flight home for the holidays or a work party. Fermented cod liver oil – this supplement gives you those essential fatty acids that are critical to health. It also contains a good amount of vitamin D and another immunity-boosting nutrient, vitamin A. First, do you often get colds? Second, do you take supplements and what kind? I am trying to get rid of a terrible head cold I caught from someone who’d been traveling – I was surprised, b/c normally my immune system is pretty good! This one has been a doozy – been sneezing & blowing my nose for a week. Blech. I like all these & use them – when I start to feel like my system might be starting to fight off something, I add another big gun – I take Oil of Oregano (I use Gaia caplets , b/c I can’t take the oil straight – yuck!). Usually this plus the extra vitamin C stops any virus in its tracks. Not this time, though! I’ve been using Lansinoh on my nose b/c it’s been raw & chapped, alternately with B&W ointment (an Amish made wonder burn & wound salve).